This post is about recent cycling trip from a small city at northern part of Malaysia to Krabi Thailand. The post will cover as much detail as possible from the build up of this idea, planning, preparation to the execution, of course there will be some important information if you want to do the same route. When I start sharing the idea of long distance cycling many ask me why not just take a flight to Krabi? I did enjoy cycling mainly because is fun and I feel much relax on bicycle, after the trip I ask myself why by bicycle? I have the same answer I feel very relax over the 450km, I enjoy every moment on the saddle I just paddle and enjoy the ride. The idea of long distance bicycle touring trip is in my mind since I start pick up cycling way back late 2016. I did some short weekend ride however nothing more than 3 days, initial plan is to cycle from Kuala Lumpur to Singapore however looking at the long Christmas break with heavy traffic and the extremely hot weather in Malaysia we decide to go up north instead of down south. Once start and end of the trip is set I need to decide which route to take and how do I navigate. I use Plataroute to plot my route I really like this tool. Once the route is plot you can download your route to GPX file and then navigate with GPX viewer on your smart phone or any GPS supporting GPX file. Google Maps is also a good tools to use, I used both, more about this tools later. Day 7: Reached Krabi town. Since I stay in Kuala Lumpur(KL) I decide to took flight to Alor Star with my bicycle and then take flight back to KL from Krabi. This is the first time I fly with bicycle hence I’m considering various way to pack my bicycle. 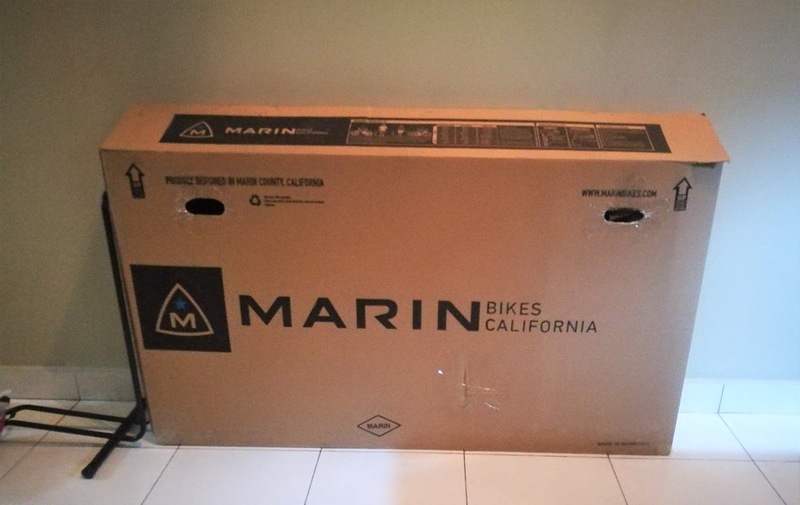 At the end I decide to get a bicycle box from local bicycle shop (Thanks Bicycle Block for all the help) and pack everything myself with the help of youtube lol…. 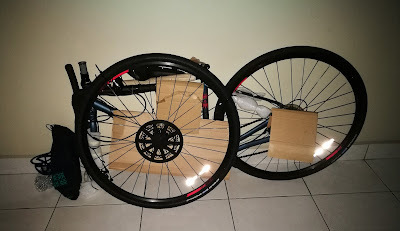 You can always search “how to pack you bicycle for air travel” from google, lots of information and step by step guide available choose the one suit you the most. This trip require 6 days cycling plus 2 days relax at Krabi, so what you need to bring? Below is list of item I bring for this trip. Cloths (include every thing inside out 😀), wear 1 set pack 2 set. Cloth in Thailand is inexpensive if needed can go get one. Bicycle tools and spares – Allen key, small wrench, tube repair kits, spare tube x2, break/derailleur cable, spare spoke and chain breaker. 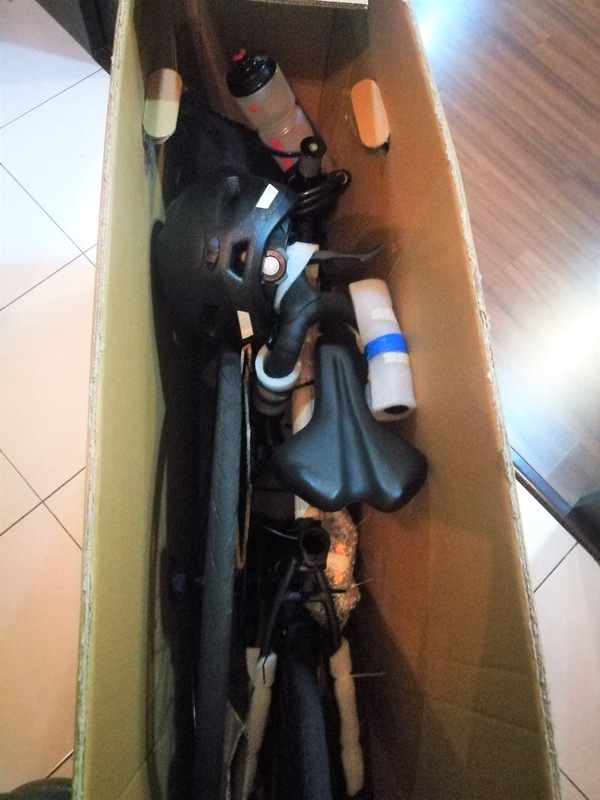 Others item – Power bank, camera (not necessary), cycling glasses, rain coat and very important sunblock. This trip I stay in hotel since is relatively cheap in Thailand hence I didn’t bring my usual heavy touring bike (Marin Muriwood), instead I bring Marin Nicasio beyond road gravel bike with bike packing setup. 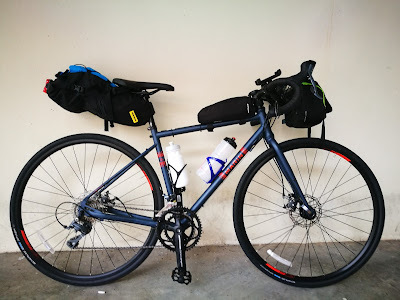 My bike setup, that all for 8 days. Hi my name is Bryan Tee. This blog is very much about the my hobby and places I visited.